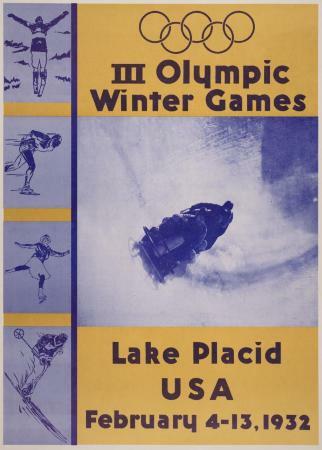 Poster for the III Olympic Winter Games at Lake Placid, in the Adirondack Mountains. Center a bobsled team races down hill. Source: Adirondack Museum Library, Broadside collection, MS 61.82, folder 14.